Visiting a new archive, particularly overseas, can be a bit daunting. But I’m pleased to report that my time at the British Columbia Archives over the past two weeks was just lovely. Research discoveries aside, here’s 5 things I liked about the BC Archives. 1. Location and transportation. The BC Archives is centrally located in downtown Victoria, the provincial capital of British Columbia. It’s housed in the same building as the Royal BC Museum, just across from the BC Parliament and the Inner Harbour. This means it’s easy to get to on foot or by public transport, and it’s easy to find once you’re there. It also has lots of nearby eating places and somewhere nice to stretch your legs at lunch. 2. The staff. The archives staff are some of the friendliest and most welcoming I’ve met – from Lance on the front desk, to Steve and Raj the security guys, to the archivists themselves (of particular help to me were Claire, Katy and Ann). One little thing I really appreciated was being told the names of the staff I was dealing with; Steve on security would tell me the names of those working on the information and retrievals desks each day when I signed in. The staff also took the time to remember my name, too, which was nice when I was so far from home. 3. Opening hours and locker system. The archives are open 6 days a week, which means you can really make the most of a visit from out of town. They have what they call full service and partial service hours. 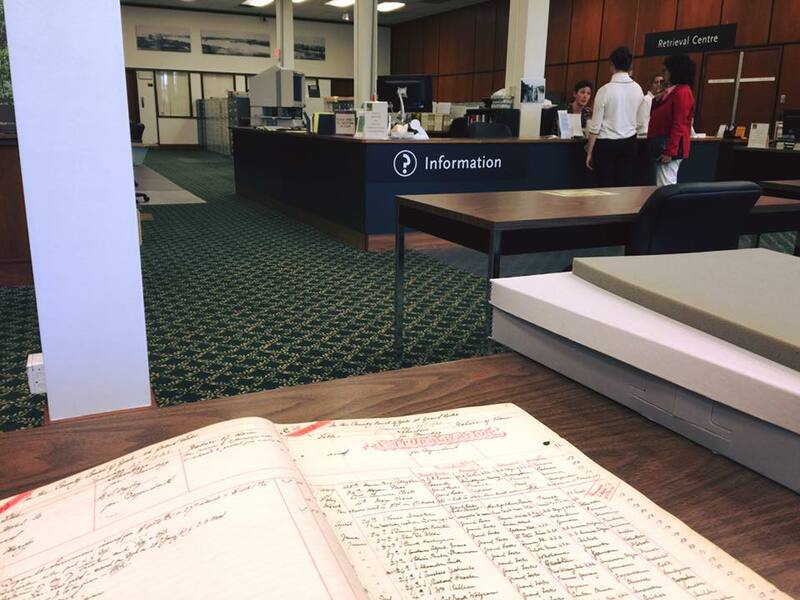 During full service hours the archivists are on duty and you can request original material. In the partial service hours (4–8pm on weekdays and 1–5pm on Saturdays), you can freely access the mircrofilm collection (a lot of the material I needed was on microfilm) or you can have original material put in a locker for you to access once the archivists have gone home. 4. Copying records. 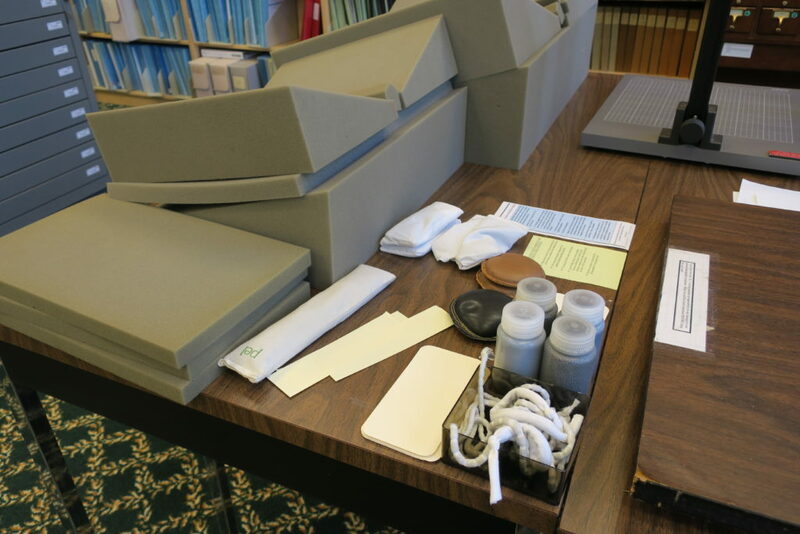 There are no problems with taking digital photographs of original materials, and the archives provides a nice collection of book rests, foam and weights so that you don’t have to try to awkwardly hold bound volumes flat while you take photos. Super handy with some of the big registers I was looking at. For microfilm you can save images onto a USB stick. 5. Raccoon! 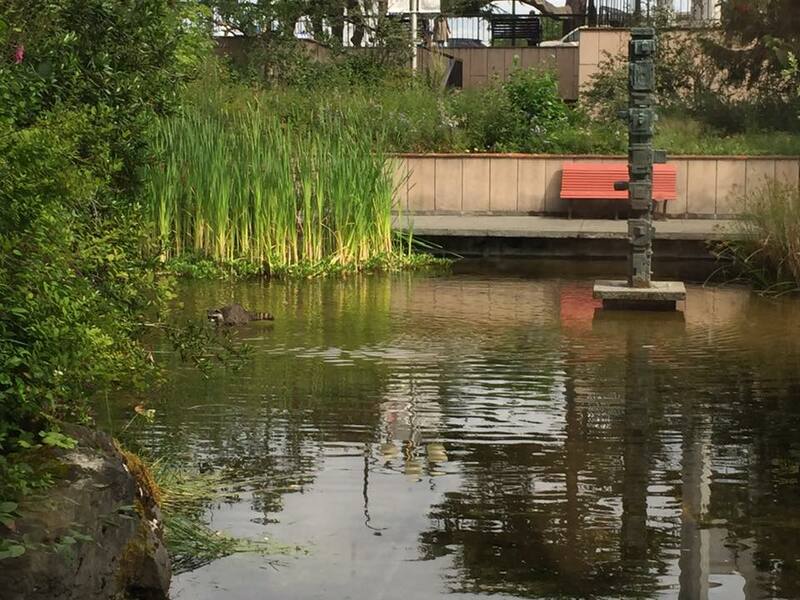 On the first day of my visit a raccoon was fishing in the pond in native plant garden outside the archives. No moose or bears, but definitely my best archival wildlife experience so far.